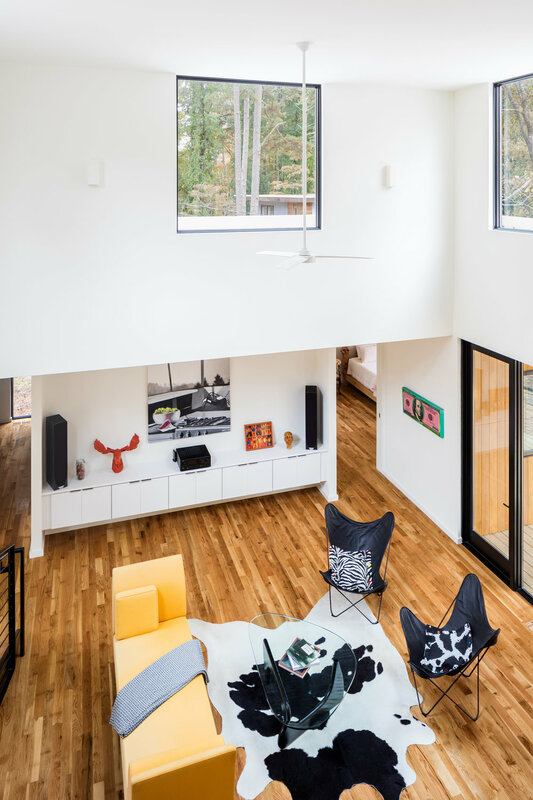 Parks Residence — Raleigh Architecture Co.
On a heavily wooded site, down a gravel road in the heart of a suburban neighborhood, lies the Parks Residence. 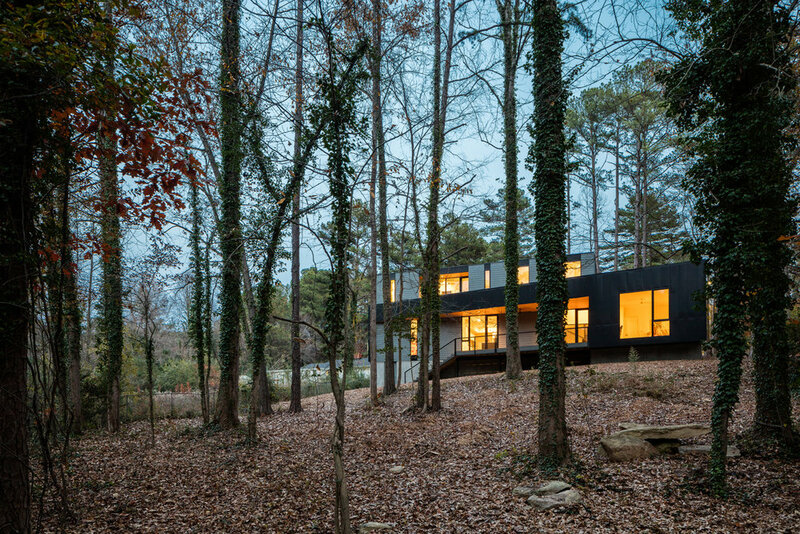 The house blends in to the surrounding forest through the use of subdued materials and reflection, hiding away light filled volumes inside. Beginning with a simple box, the outer form was manipulated to orient views towards the trees to the east and creek to the west. The interior spaces strive to be a backdrop for the numerous weird and wonderful objects collected by the client over several decades.